Classical music enthusiast Tom Simone, who teaches literature at the University of Vermont, hit on a good idea in 2008. With UVM affiliate pianist Paul Orgel, he devised a concert series featuring music from the literary eras his students were studying: Messiaen for Second World War writing, Debussy for Proust, The Rite of Spring for modernist writers, and so on. Made possible through a special English department fund, the Music and Literature Concert Series' two annual concerts were open to the public, too — and free. After the February 2014 concert, however, the fund's lawyers redefined its use to include only English department students. Fortunately, UVM president Tom Sullivan, a humanities enthusiast, was in the audience for that last concert. He urged Simone to apply directly to his office for funding, even emailing him a reminder, says the professor. It worked: The series has been reinstated after a two-year hiatus, and renamed the President's Concert series for Music and Humanities. As Orgel comments about Sullivan during a phone call, "It reminds me of some 18th-century court where there's a patron who really cares about music." The series restarts on February 3 with a concert by Montpelier pianist Michael Arnowitt, who will play the last three of Beethoven's sonatas. Then, on March 30, Orgel, soprano Mary Bonhag and a string quartet led by cellist John Dunlop will offer a program of late romantic and early modern works by Fauré, Hugo Wolf, Ernest Chausson, Debussy and Ravel. Simone is currently teaching literature of the French Revolution and romantic poetry; James Joyce is on the syllabus later in the semester. He believes in situating literature within the wider context of Western culture. While music is harder to introduce to students than, say, art — "Everything is visual these days," he comments — he considers it no less integral. Beethoven, perhaps the first romantic composer, will be a case in point: an expression in music of a wider cultural turn toward the heroic individual and the centrality of human emotion. Says Arnowitt, the composer was the first to rebel against writing music in the service of either the church or the court — the only paths open to musicians until then. "Composers want to write the music they want to write, not background music to this or that. Beethoven was the first to do that," Arnowitt adds. The piano sonatas are considered among the most profoundly moving music in the repertory, and Arnowitt's approach is particularly reverent. The concert is one of a series he devised that has lasted a quarter century, during which he performed each of the 32 piano sonatas as he reached the ages at which Beethoven composed them. Arnowitt has been performing the final concert around the state since he turned 52 last year, but this performance of it — his eighth — will be the first in Chittenden County. Bridging the romantic and modern eras in the second concert, Orgel will accompany soprano Bonhag on songs by Fauré and the lesser-known Wolf. Orgel is a sensitive interpreter of that period's music who recently issued a remarkable solo recording of works by Josef Suk, Chausson and Max Reger. This will be his first collaboration with Bonhag, a former student of soprano Dawn Upshaw and one of Vermont's most skilled and essential singers. Both musicians will join the string quartet for Chausson's unusually scored Chanson perpétuelle, op. 37. This late-romantic lament voiced by an abandoned lover explores the kind of chromatic nuances that would lead to modernist atonality — particularly in the piano's haunting phrases following the stanza that ends, "Je meurs" ("I am dying"). The concerts are sure to be memorable to students and the public alike, as many in Simone's series have been. "I have students who still remember these concerts, who had never been to a classical concert before. They come and tell me how wonderful the Shostakovich or the Messiaen was," Simone says. "To me, that's a great joy." The President's Concert Series for Music and the Humanities, with pianist Michael Arnowitt, Wednesday, February 3, 7:30 p.m., at the University of Vermont Recital Hall in Burlington. 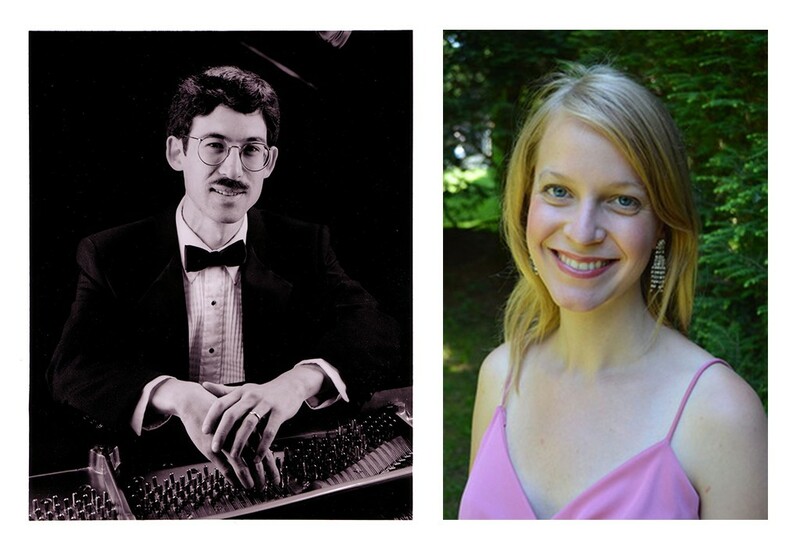 On Wednesday, March 30, 7:30 p.m., the concert will feature pianist Paul Orgel and soprano Mary Bonhag. Free.